GREAT OPPORTUNITY! Heat, hot water and cooking gas are all included in the monthly rent! 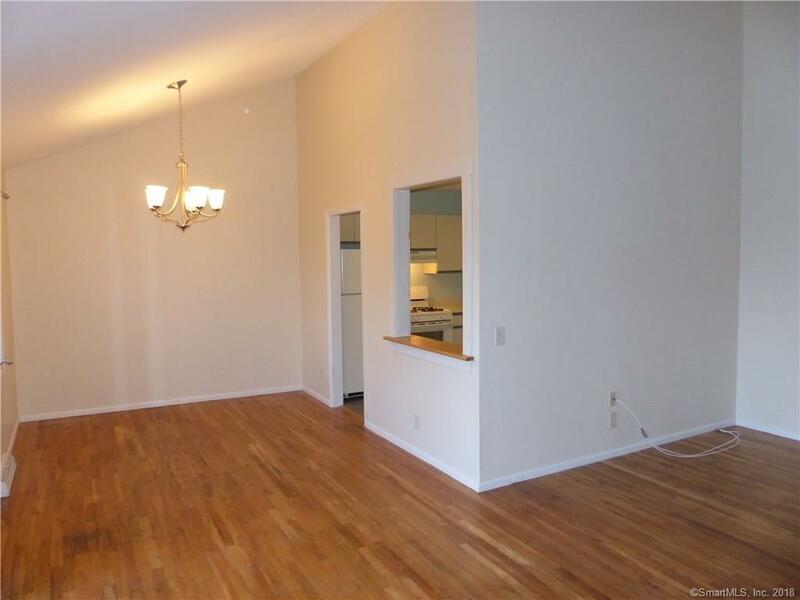 You will love how bright and spacious this 2 bedroom condominium feels. This second floor unit has a private entrance and an assigned parking space close by. The large family room has a cathedral ceiling which provides an open, airy feeling, and hardwood floors. A slider from the family room opens to a balcony overlooking the pretty courtyard. There are two spacious bedrooms with hardwood floors and generous sized closets. Two additional closets off the entryway provide additional storage. You'll enjoy cooking with the gas cook top, and cooling off with central air conditioning on hot summer days. The dining room also has hardwood floors and room for a nice sized dining set. This annual, unfurnished rental is ready for IMMEDIATE occupancy. This complex is well maintained and close to shopping, restaurants, etc. New Haven is only 10 minutes away. Call today for your private showing.